My friend Ellie sent me a link to this shop, 3 Seams. 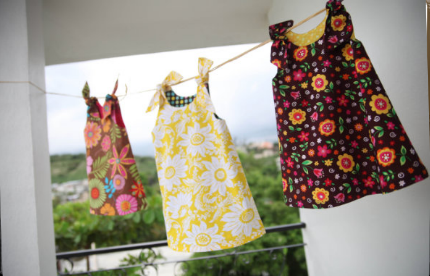 They sell little girls’ dresses that are handmade by seamstresses in Haiti. 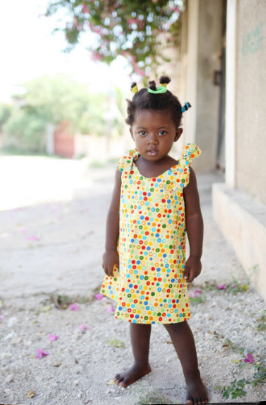 Each time a dress is purchased, an identical one goes to a little girl in Haiti in need of clothing. Check out their mission. 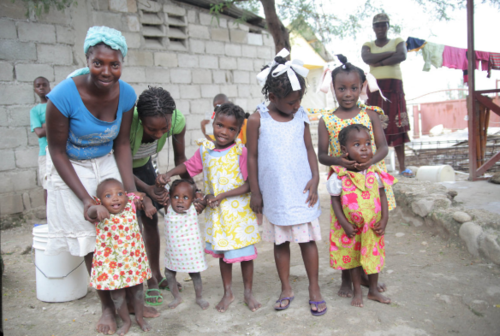 3 Seams was begun by Inga as a way to put her faith into action and teach her own children to have a global perspective and awareness. I think her mission is pretty cool, not to mention the dresses are adorable, made of bright, fun fabrics. As the child grows, the dress can be worn as a top over jeans or leggings. If you’re searching for a gift for a little lady in your life, head on over to 3 Seams. You’ll be supporting an awesome organization and helping provide for another little girl who might not otherwise have a chance to wear a FRILLING little dress.